FAQs - Find answers about Max-Air Nose Cones or Sinus Cones | Max-Air Nose Cones ® | Sinus Cones ® Official Site - ultimate breathing | snoring relief for the sleep of your dreams. Your 800 number does not work in my area, do you have another phone number? Your order will ship the same business day that it is received. Orders received on weekends or holidays will be processed and shipped the next business day. Orders that are shipped via First Class Mail usually require 2 to 5 days for delivery within the USA. We are based in New England, so orders to the Eastern seaboard or Mid-West usually require 2 to 4 days; orders to the West Coast, Hawaii, and Alaska may require 4 to 5 days. For faster delivery, please select one of our express delivery options. A CLICK HERE TO VISIT SIZING HELP PAGE. We have an easy-to-use sizing guide that is accurate for most noses. If you have had extensive nasal surgery, a broken nose or a more severe nasal issue, please call for assistance 1-800-797-0361. How do Max-Air Nose Cones and Sinus Cones Differ from Other Remedies? What is unique about the Max-Air Nose Cones and Sinus Cones is that they are adhesive-free, made without latex (latex-free), and drug-free. They are uniquely soft and specifically designed for reliable comfort and extended use. They are also reusable for maximum value and convenient use. Because the Max-Air Nose Cones and Sinus Cones are nasal dilators or a nasal device, you are in control of your nasal breathing relief. Feel increased breathing volume immediately as soon as you put them in – no waiting for hours or weeks for relief, or having to take medications when you don’t need them. Use them only when you need maximum relief and only as long as you need breathing relief. Simple-to-try and easy-to-use, our nasal cones make an perfect addition to your healthcare choices for staying healthy, active and well rested. The beauty of the Max-Air Nose Cones is the quality of your sleep. How soft and safe are your Max-Air Nose Cones | Sinus Cones nasal dilators? The FDA-certified medical grade materials were carefully selected after extensive testing for their superior properties of soft-comfort, yet resilient stenting-action. Their materials are ISO-10993 certified, proven hypoallergenic, latex-free, and are safe for extended wear, and use with all medications, CPAP, oral-appliance therapy, and inside a nasal cannula with oxygen. How does it feel the first time that you use the Sinus Cones or Max-Air Nose Cones? The first time that you wear the new Max-Air Nose Cones and Sinus Cones you may be surprised at the comfort and amount of breathing relief that you feel. In fact, in a recent clinical study, Max-Air Nose Cones were shown to increase breathing volume by a whopping 110%. Breathing easily, deeply and fully, feels amazing. Getting started: to acclimate your nose to the Sinus Cones or new, Max-Air Nose Cones, we suggest that you place the Cones in your nasal airways a couple of times in advance of wearing them to bed. Try inhaling a few times to see what maximum relief feels like. Allow a couple of minutes to adjust to the feel of the soft framework of the nasal cones in your nose, as you swivel them around and adjust the angle to insure maximum airflow. Are the Max-Air Nose Cones and the Sinus Cones latex-free? The Max-Air Nose Cones and Sinus Cones are latex-free, hypoallergenic and made with premium quality medical material that is FDA-certified for safe reuse. The Cones’ material has been extensively tested for the highest levels of safe use and specially selected for comfort, reusability, and easy cleaning. How are Doctor Recommended Max-Air Nose Cones & Sinus Cones Right for Me? If you are tired from sleep loss due to snoring, nasal congestion, a deviated septum, sinusitis, frequent head colds, sinus infections, blocked nose or collapsed nose and are seeking high performance, drug-free, comfortable, reliable breathing relief, then Max-Air Nose Cones or Sinus Cones may be a good choice to try. What is the difference between the Max-Air Nose Cones and the Sinus Cones? The Max-Air Nose Cones and the Sinus Cones are both designed to hold the nasal airway open. Deciding which product depends on the severity of the nasal airway obstruction. The Sinus Cones is our original product. The material is slightly firmer for extra support and is a whitish opaque color. The Sinus Cones also have a little clip that goes on the outside of the nose. The Sinus Cones are generally recommended for more severe nasal airway collapse and superior decongestant control for chronic sinus or nasal congestion. The Max-Air Nose Cones is our newest product and is made with the softest material that we offer, for greater comfort and improved fit. The Max-Air Nose Cones are also transparent for practically invisible wear and do not have a little clip so that they can be placed almost fully inside the nose. The Max-Air Nose Cones are generally recommended for deviated septum relief, to stop snoring, to aid breathing inside CPAP or with oral appliances, or for breathing problems that are only present during sleep. Can I reuse the Max-Air Nose Cones and Sinus Cones, and when should I replace them? How do I clean my Max-Air Nose Cones and Sinus Cones? The Max-Air Nose Cones and Sinus Cones are easy to clean for maximum value. First, be sure to wash your hands thoroughly. Once your hands are clean, then soak your Sinus Cones or Max-Air Nose Cones in hydrogen peroxide for 10 minutes, then rinse them thoroughly in hot tap water, and shake dry. DO NOT USE SOAP, as it may leave a residue, which may irritate the mucosal lining of the nose. Be sure to clean the Sinus Cones and Max-Air Nose Cones before each use. You may find it easy to store them in your medicine cabinet, so that you can rinse them and pop them in just after you brush your teeth for bed. The Cones may be slipped in while they are still warm to sooth and comfort your nose. What if the size I order doesn’t fit? What if the Cones don’t work in my case? 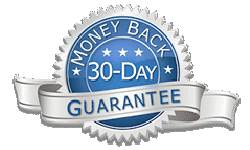 We offer two Sweet-Dreams Satisfaction guarantees, either a free exchange, or a 30-day money back guarantee. CLICK HERE TO READ MORE. How Do I Purchase Max-Air Nose Cones and Sinus Cones? Max-Air Nose Cones and Sinus Cones are available for purchase, without a prescription, through our on-line store, by mail with check or money order, or by phone at 1-800-797-0361. Sinus Cones and Max-Air Nose Cones may also be purchased through select Ear, Nose & Throat Specialists, and independent pharmacies. What is the price for a set of Sinus Cones or Max-Air Nose Cones? 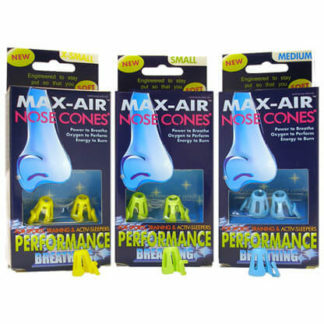 Sinus Cones and Max-Air Nose Cones are $22.60 (plus $4.99 Shipping and Handling) for one set of two Sinus Cones, or two sets of Max-Air Nose Cones, or approximately 22 cents for a great night’s sleep. What are the Shipping & Handling options and delivery times? USA – Standard postage and handling is $4.99. Packages are shipped same day via First Class Mail, delivery within the continental United States is 2 to 5 business days. The US Postal Service also delivers on Saturday. USA – FEDEX 2-DAY postage and handling is $7.95. Packages are shipped same day via FEDEX, delivery within the continental United States is guaranteed 2 business days. PLEASE NOTE: This FEDEX service does NOT deliver on Saturdays. USA – Express Mail Postage & Handling: US $25.45 US Postal Service – Guaranteed 1 or 2 day delivery including Saturdays to most zip codes in the continental United States. Track and confirm service included. CANADA – International Air Mail Postage & Handling: $11.54 Canada Air Mail – 3 to 10 business days. INT’L – International Air Mail Postage & Handling: $14.72 International Air Mail – 3 to 10 business days. Please Note: Fees, Taxes, and Customs Duties may be due for some international destinations. How do Max-Air Nose Cones perform compared to Breathe Right Nasal Strips? And, in a research study published in The American Journal of Rhinology and Allergy, Max-Air Nose Cones were shown to offer 200% greater inspiratory nasal airway relief than Breathe Right Nasal Strips*. Do Sinus Cones work faster than oral decongestants or nasal steroid sprays? Independent clinical research published in the Annals of Allergy, Asthma and Immunology reports that Sinus Cones maximize peak nasal inspiratory airflow TEN DAYS FASTER than oral decongestants, in comparative analysis of similar clinical research. * (see references at the bottom of this page). The Sinus Cones’ breathing relief results were achieved instantly, compared to oral decongestants that required up to 10 days of maximum dosage to achieve similar results.*. The Cones may be worn in the shower to humidify and help clear cold or sinus congestion. When using the Cones to treat a cold, nasal allergy congestion or a sinus infection, be sure to disinfect them each time you use them by rinsing with isopropyl alcohol, or hydrogen peroxide and then rinse in hot tap water. IF YOU ARE SUBJECT TO FREQUENT NOSE BLEEDS, OR IF YOU HAVE HAD A STROKE AND YOUR BREATHING MAY BE IMPAIRED, CONSULT YOUR DOCTOR BEFORE USING THE CONES. Breathe Right is a registered trade name of GlaxoSmithKline, Inc., and Sudafed is a registered trade name of Pfizer, Inc.